Our focus is your health! Dr. Jonathan is a native to Clinton Township and attended Michigan State University for undergrad and medical school. 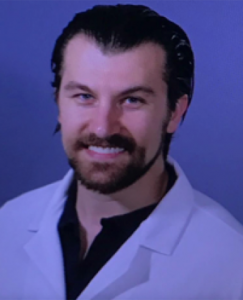 He completed his residency at McLaren Macomb hospital and is board certified in Family Medicine and Osteopathic Manipulative Medicine. Among other things, he has received special training in sports medicine, dermatology, and medical weight loss. Dr. Jonathan treats each patient as a person and not just a set of illnesses or symptoms. He truly feels that prevention is key and emphasizes lifestyle modifications over medication whenever possible. 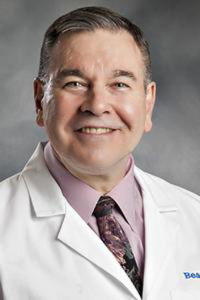 Dr. Stephen is board certified in Family Medicine and has been practicing in Southeast Michigan for over 25 years. Dr. Stephen always goes the extra mile and treats his patients like family. He is very involved in the leadership of various medical associations, and is even a past president of a few of them. He was awarded numerous prestigious awards over the years and certificates of added qualification (CAQ) in Geriatric Medicine and Occupational Medicine. Expertise to keep all ages moving at tip-top shape whether you are a top athlete, cross-fitter, or just trying to get active. Maximize your function and minimize your pain. Capabilities include osteopathic manipulation, prolotherapy/PRP, nerve blocks, trigger points, viscosupplementation, and joint injections. Prolotherapy treats chronic ligament, cartilage, and tendon injuries using PRP (platelet rich plasma), dextrose, or even stem cells. Useful for: knee, hip, low back, neck, shoulder, elbow, carpal tunnel syndrome, hand, ankle, fibromyalgia, TMJ disorder, chronic tendon injuries, and some types of pelvic pains. Avoid long ER waits for urgent care issues! Capabilities include suturing, casting, lab testing, etc. We care about your long term health and will provide follow-up care! Equipped to manage most medical and cosmetic conditions of the skin, hair, and nails. We also have methods to use PRP for hair loss, wrinkles, loss of facial volume, and melasma (skin discolorations). Our physicians are experts at managing chronic conditions including but not limited to hypertension, hyperlipidemia, diabetes, asthma, COPD, atrial fibrillation, and congestive heart failure. Let us get your conditions under control so you can go on, living your life. As humans age, their bodies often stop producing adequate amounts of testosterone, estrogen, and other hormones. We routinely manage the replacement and fine-tuning of these hormones to keep your body running at peak performance.